In september 2016, a Wildlife Angel team flew to Namibia for an anti-poaching training operation. The goal of this trip was to train a group of rangers coming from different reserves of the country. We gathered in Wameru, a reserve where you can meet the largest population of namibian white rhinos. There, the participants received a full operational training to face the troubles they meet every day on the field. A french TV production company called Banijay Production came with us on this trip to Namibia, that’s why we had to keep this operation confidential. The public channel France 4 will broadcast our training program entitled “A Season in the Savannah” in the coming weeks. Ten game keepers from the zoo called “The Zoo de La Flèche” along with the manager and the vet came to experiment and live as a ranger during several days. The game keepers, who use to work in a different environment, had to follow a demanding training. Both their minds and muscles suffered. Yet, every single participant managed to reach the end of the training course. Putting the game keepers in rangers’ shoes helped them to realize how critical the situation is in Africa for wildlife and for people in charge of its protection. Although namibian wildlife was spared by poachers in the recent years compared to its neighbours, the current situation is expected to worsen in the coming years. That’s why the partnership between Wildlife Angel and the local NGO HornNam gave birth to this specific training program. Rangers coming from several farms in the north of Namibia took part in this session in order to improve their anti-poaching skills. 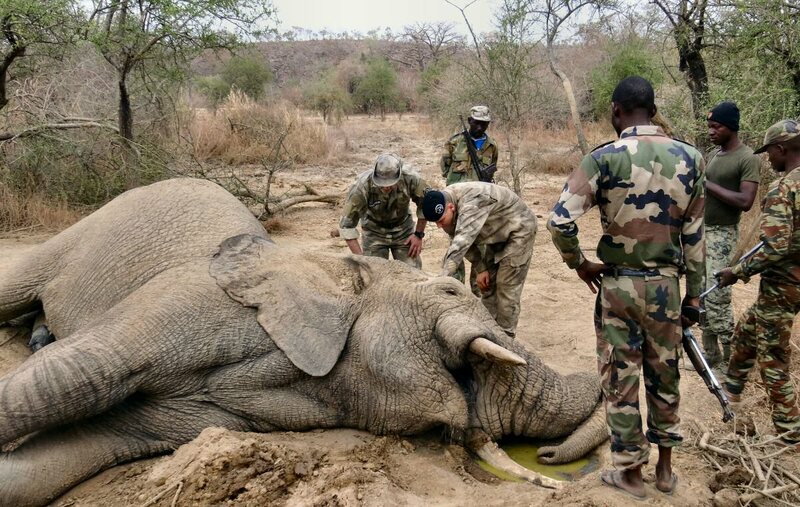 The goal was also to have an anti-poaching force able to intervene and fight poaching in the corresponding areas. 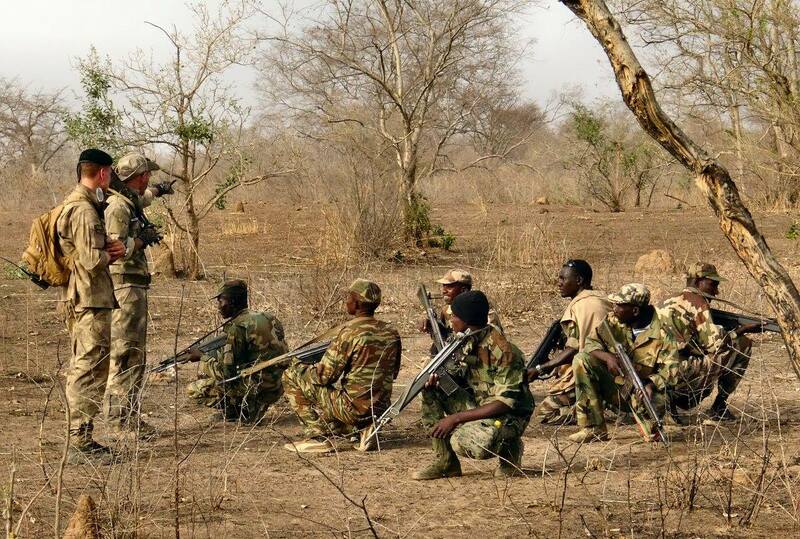 During the training, the rangers had to be deployed twice in the neighbouring reserves under poachers attack. The information about a ranger training program had spread in the area, in the farms as well as around the Etosha National Park. People in charge at HornNam are very satisfied with our work and want to perpetuate the partnership between our two organisations. Besides, they have received positive feedbacks from the farms who sent their rangers to the training session. Unfortunately, this program only concerns private reserves and for the moment the namibian authorities don’t want us to take action in the whole country. And yet, there is a real need for training in areas like Etosha and other public conservancies. Wildlife Angel is trying to find a solution to solve this problem and work side by side with the namibian government.